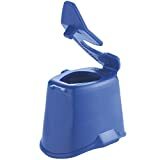 Autodrop® is suitable for a wide variety of eyedrop medication containers, and enables an increased number of users to successfully self-administer their medication and complete their course of treatment without assistance Features of Autodrop®: Small lip It holds lower eyelid down and prevents blinking. Sits perfectly over the eye Delivers eye drop in the exact place first time improving patient compliance. Keyhole fitting Eye drop bottle can be left on Autodrop for the entire course of treatment. Top of eye drop bottles can be replaced after use. A unique pinhole. Directs gaze away from descending drops and prevents blinking.